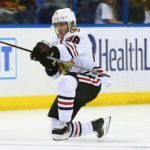 Despite losing 3-2 to the Los Angeles Kings on Saturday night, Chicago Blackhawks superstar Patrick Kane achieved yet another milestone to add to his already-impressive hockey resume. With a power-play goal early in Saturday’s game, Kane extended his streak to 19 games, surpassing Phil Kessel and Eddie Olczyk, who both recorded at least one point in 18 straight games. Kane now stands alone with the longest point streak by an American-born player in NHL history. During his current point streak, Kane has collected a mind-boggling 11 goals and 20 assists for a total of 31 points in 19 games. The three-time Stanley Cup winner also leads the league in points with 37. 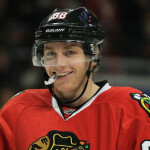 For me, Patrick “Showtime” Kane is one of my favorite players in the National Hockey League. If you ask me, it is Kane who possesses the biggest bag of tricks in the sport. 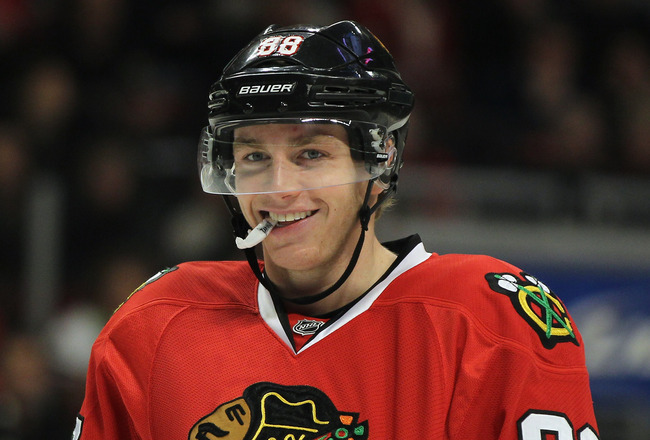 Kane is now tied with Denis Savard with the second-longest scoring streak in Blackhawks history. 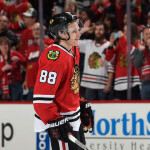 He will have a chance to tie the Blackhawks’ all-time individual point-streak record, set by Bobby Hull, of 21 games. 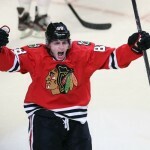 The Blackhawks face the Minnesota Wild on Tuesday night and the Ottawa Senators on Thursday night. It makes me proud to see a player that I have supported throughout his whole career add yet another impressive milestone to his legacy.